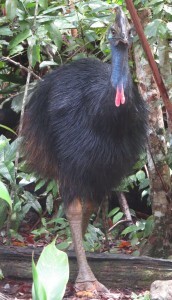 Welcome back to Cassowary Dad, his new chick and as well, a young adult, Bunda (pictured), all spotted in the Black Mountain Road Region. Concerns were held for our very senior Dad who seemed to go missing for a couple of months. Please do take care on the roads, cassowaries and other local beasts are not at all road wise, and please let us know if you spot one, the location, description, date, time and any interesting circumstances. Photos very much appreciated. ‘Bunda’ means ‘mountain’ in the language of the Djabugay people, the originial inhabitants of this area. 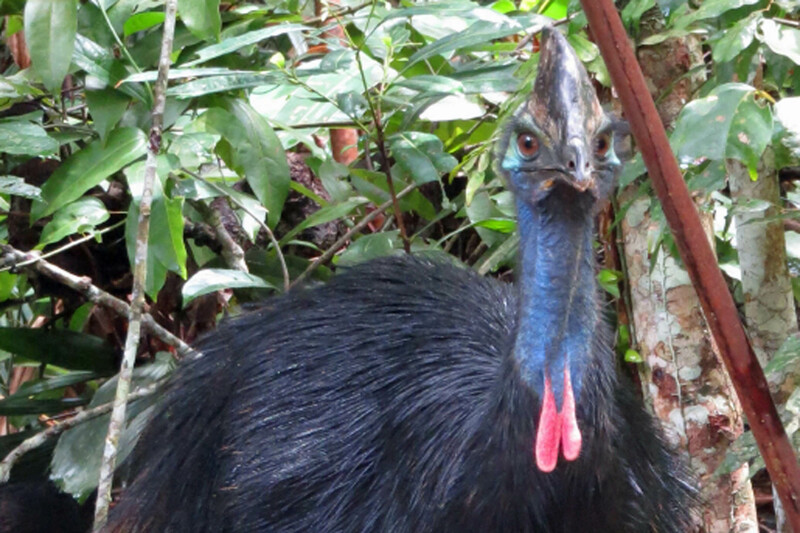 We wish all CASSOWARIES AND CONSERVATIONISTS everywhere VERY BEST WISHES FOR 2016!